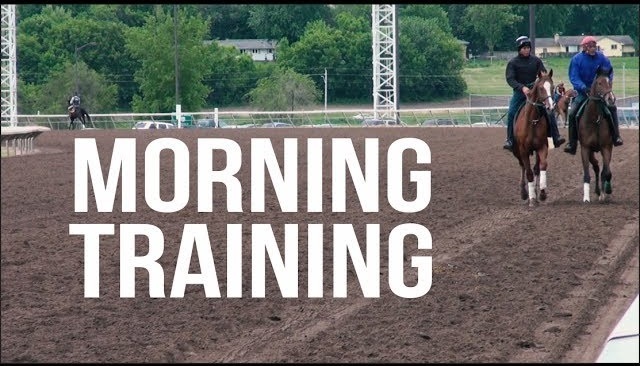 If you have watched morning training, it may be confusing and appear chaotic as horses are traveling in both directions on different parts of the track. But it actually operates like a finely tuned machine. Katie explains the rules of the road in this video. The track is open for training at consistent times so that trainers can make plans to have riders ready for whatever they need to accomplish each day. Currently the main track is open every day for training but beginning June 5 it will be closed Mondays. The training track however remains open daily . This entry was posted in 2017 Racing Club, Canterbury Racing Club by Canterbury Park. Bookmark the permalink.